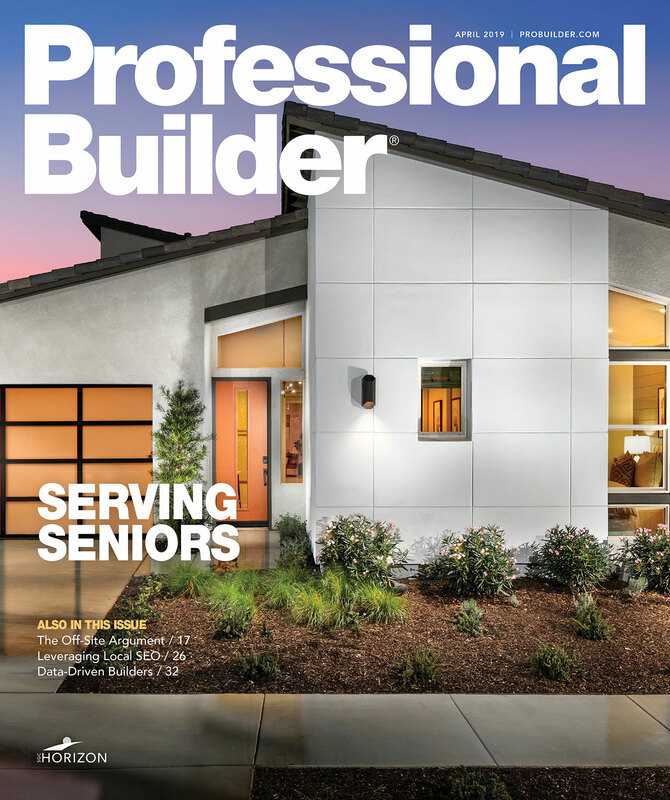 Treating purchasing as a central function offers long-term payoff for builders. (Image: Quince Media via Pixabay). Achieving the lowest total cost of ownership is a tough task anytime, but especially in the current inflationary climate. Enter Purchasing: Not just a strategic function within a home building company, but a critical one, given the affordability concerns hanging over the housing market. High price tag increases won’t overcome a purchasing team’s failure to manage costs, quality, and cycle time—they’ll hurt sales absorption. To achieve excellence in purchasing, challenge organizational assumptions, promote or hire the best purchasing talent, invest in your people, and instill a strategic mindset. Most builders outsource installation services and rely on Purchasing to get the lowest cost, best quality, and shortest cycle time from suppliers and trades. I’m not advocating the lowest price from suppliers and trades that are incapable of meeting quality, cycle time, and safety requirements—that costs too much (even if the initial price is $0). What I am advocating is that you challenge your company’s assumptions about the purchasing function. Does your company view it as a clerical function that does little more than take the price a trade gives and enter it into the system? While this attitude has changed since the downturn—most who thought this way didn’t make it through—even a good builder can drift into this mindset when the market is strong. Be sure to involve your purchasing department in key business decisions, including land acquisition, product development, forecasting, budgeting, mergers and acquisitions, as well as revenue and profitability initiatives. Involve your purchasing team in every step of the cycle. Why? Because Purchasing interacts with multiple trades in every category. Want to buy some land but are struggling to make the numbers work? Purchasing can weigh in on construction costs, architectural designs, value engineering, and early supplier involvement to help lower construction costs, so don’t pass on that land deal without consulting Purchasing. Want to develop a new floor plan to meet a specific cost per square foot? A strategic purchasing department can help with material utilization ideas, concurrent engineering, and labor-saving techniques, drawing upon extensive experience and contacts. Expect more from your purchasing team. Involve them in every functional area of your business. If you need to shake up your organization’s mindset about Purchasing, include Purchasing in quarterly company meetings, have the team present what it’s working on, discuss successes, and share how its strategy dovetails with your overall business objectives. Promote or hire the best talent for your purchasing department. The old adage of being penny wise and pound foolish applies here: If the difference between a top-notch purchasing agent and an ineffective one is $20,000, why would you ever put the ineffective one in charge of negotiating contracts worth 65 percent to 70 percent of the cost to build a house? Over time, that $20,000 in compensation savings will cost you millions. This is absolute madness. Fortunately, most builders get this, which is why the industry has seen increased competition for purchasing talent. A good purchasing agent can produce 10 times the return on his or her compensation. Consider this: If your net profit is 9 percent or $1 million annually, to make an additional $250,000 you’d need to increase sales by $2.8 million or reduce costs by $250,000. In other words, Sales would need to produce 11 times more revenue to equal Purchasing’s direct cost reduction. Staffing your purchasing department with anything less than the best people simply costs too much. Cost reductions increase profitability; cost avoidance maintains profitability. It’s important to consider, given how much builders’ margins have been squeezed as their costs have gone up faster than their home price appreciation. I’ve led a lot of training events over the last 20 years, and I always ask the purchasing folks in the audience if they’ve had formal training in their profession. On a good day, 10 to 15 percent of the audience says yes. On the other hand, how often have you reached out to a supplier’s sales representative only to be told they’re in training and not available? Invest in your purchasing people. Continuous education is key. Encourage your purchasing team to get out into the field more to look at what they’re buying; stay current on their assigned scopes of work; talk with trades in the field; walk competitive products; and meet with material suppliers. The same 10 percent increase now costs you an extra $100. Over time, the compounding effect can erode profitability. Your purchasing team needs to be respected for its strategic function and it needs to operate strategically as well. Make sure it has a seat at the conference table, on the board of directors, or on the executive management team. Because materials and installation services represent most of the cost to build a home, Purchasing has much to contribute. It also has a lot to learn from the other representatives at the table. Purchasing is at the center of home building because most builders don’t manufacture materials and they outsource the installation of those materials. If your purchasing team performs like it is a clerical function, fix that before it takes your whole company down. Your purchasing department will spend more of your money than all of the other functions combined. Investing in the employees that hold the fiduciary responsibility to purchase products and services for your company is an investment in improving your company’s effectiveness.